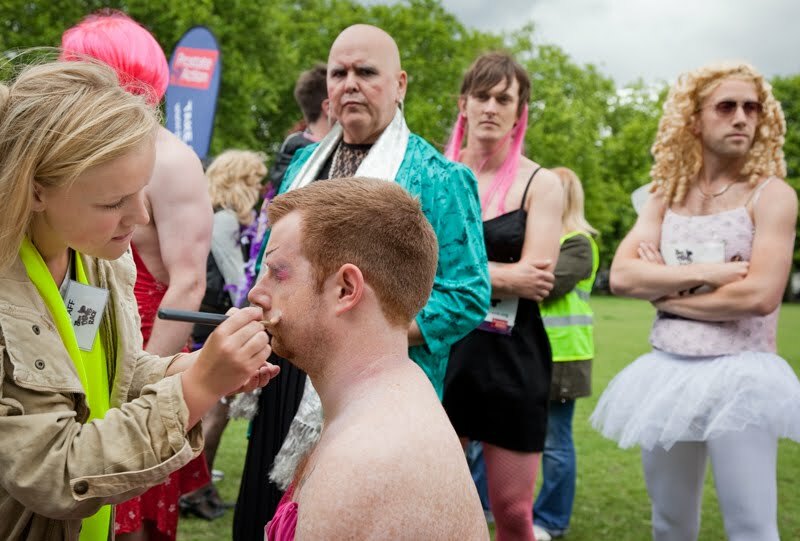 Getting ready for the great drag race. 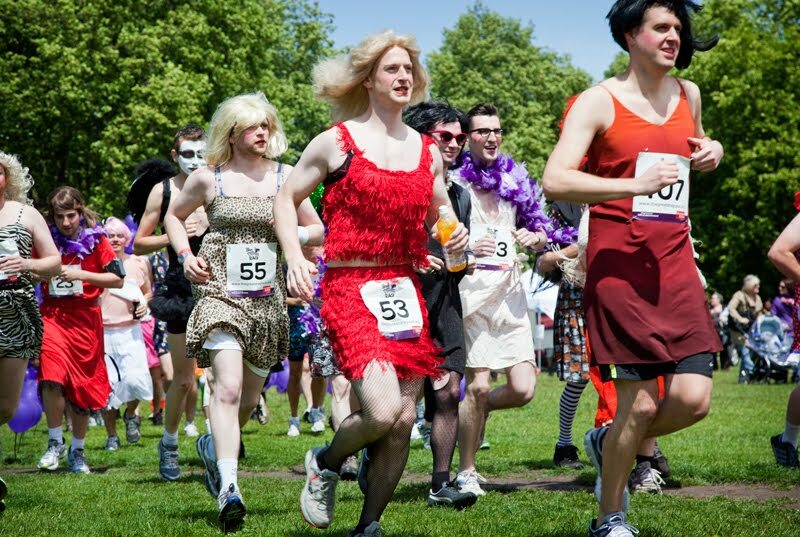 Men in dresses and lots of makeup ran 10.2 km all in aid of raising funds and public awareness of prostate cancer. Hahaha! what a sight that must of been Mo. What a great event, such a fantastic cause, so many hairy legs.!! I hope they raised a lot of money. I love the concept. It's fun to participate in, fun to watch and is an attention grabber for creating awareness and dialogue and for fund-raising. Bravo! We, men don't know enough about prostate cancer partly because we don't talk about it enough. So, thanks for putting this out there! Just added your blog to follow. Good for them:-) I hope they raised lots of money. And there I was thinking it was Drag Car Racing. All for a good cause! Sounds like and event that is fun for all! Maybe I'll just watch, Mo . . .
Wonder who was first to cross over?